If you are like most yoga beginners, you likely have quite a few questions. Well, these FAQ’s for yoga beginners should help to get you started! 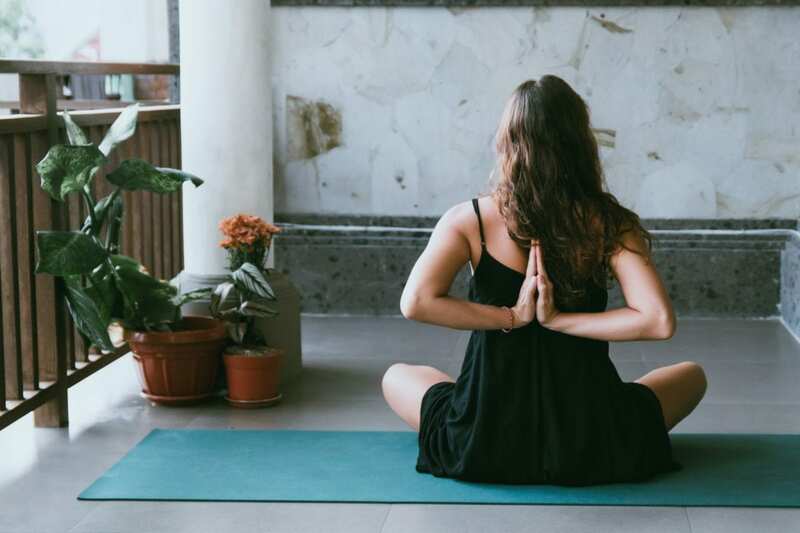 Yoga can be an intimidating practice to embark on, but don’t worry. You’re sure to find a yoga practice that you enjoy. Here are some FAQ’s for yoga beginners to help answer your most pressing questions and get your yoga practice rolling! 1. What yoga style should I practice? There are many forms of yoga. Choosing a style that best suits your interests will depend on many factors: age, current level and type of other activity/exercise, temperature preference, fitness goals and your temperament. Some yoga is fast paced, while other forms are slow. Some yoga practices are meditative, some restorative. Experiment with different styles of classes. You may be surprised by how different they can be. Keep searching until you find the style of yoga that is right for you. 2. How do I find a good yoga teacher? Finding a good teacher is important. This holds especially true if you are just beginning to practice yoga. Ask around among family and friends who practice yoga. Make sure the yoga teacher you’re interested in is trained and registered with a reputable organization. A good teacher will deliver clear instructions. They will prioritize student safety and make adjustments for students as needed. They should make you feel welcome and comfortable. 3. Can I eat before yoga practice? It is best to wait an hour after eating before practicing yoga, but a small snack before your class is perfectly alright. Observe your body to learn how much time you need to digest your food before practice. 4. Can I learn yoga online? When you start begin your yoga practice, finding a good teacher will help you avoid mistakes and keep you safe. However, practicing yoga with an online program like Zenward is also a great way to practice at your own pace and be part of a supportive community. 5. Do I have to be flexible to practice yoga? 6. Can I practice yoga if I am overweight? 7. Can yoga help me lose weight? Yes, yoga can help you lose weight. The gentle postures coupled with mindful breathing help to detoxify the body, cleanse the digestive tract, and decrease anxiety and stress. Stress is one of the biggest culprits behind weight gain. Yoga can help reduce your stress as well as provide a gentle form of exercise that can strengthen the body and tone your muscles. 8. Will yoga conflict with my religion? Yoga does not conflict with religion. Yoga is a mind and body practice. Yoga typically combines physical postures, breathing exercises, meditation and focusing practices of mindfulness and relaxation. 9. Will yoga help me to connect with my chosen form of spirituality? It could. Yoga practices help you to relax and focus on what matters most to you. The best time to discover and deepen your spirituality is when you are calm and centered. 10. Do I have to wear black yoga pants? Absolutely not! Black yoga pants might have been popular a few years ago, but that doesn’t mean it’s what you have to wear to your yoga practice. Practice in what feels most comfortable to you – whether it be leggings, sweatpants, even jeans! Do what feels good. 11. I went to a beginner yoga class but it felt too advanced. Does that mean that I can’t do yoga? You can do yoga! There are many classes labeled “for beginners” that aren’t for true beginners. Find a 4-8 week course for beginner yoga practitioners, or consider signing up for a few private classes to help get your practice started. 12. How many times a week do I have to practice? It is good to practice once a day, even if it’s just for 5 minutes in the morning when you first roll out of bed. Feel free to take up a yoga class as often as you’d like, whether it’s once a week, or once every day. But remember – you can practice yoga anywhere. Practicing in your living room is no less beneficial than taking a class! 13. Is practicing yoga time-consuming? Regularity is key. Know that even practicing just once a week will give you the benefits of the practice. If time is an issue, don’t shy away. Do what you can. 14. Is yoga strenuous? What if I am out of shape? Some modern yoga classes are very strenuous. Others are relaxing and gentle. As a beginner, seek some lower key yoga classes designed for those new to yoga. Once you feel more confident, you can begin branching out and finding the style of yoga that’s just right for you and your body. 15. Do I have to meditate to do yoga? Some yoga classes and styles do not include a meditative practice. Some do. You can ask the yoga teacher before attending a class if meditation is included in the class. Are you new to yoga? What question do you have about yoga that wasn’t answered above? Tell us in the comments below!